Lucent Graphic Solutions’s Window Wraps service creates unique and effective designs that not only deliver your message, but also make you stand out from your competition. Our wraps offer vibrant colors, can be applied to any glass surface, and come with many options -- including solid vinyl, perforated vinyl, short-term or long-term application, anti-graffiti, and much more. They will be quickly installed by our certified team and will retain aesthetic quality for years. 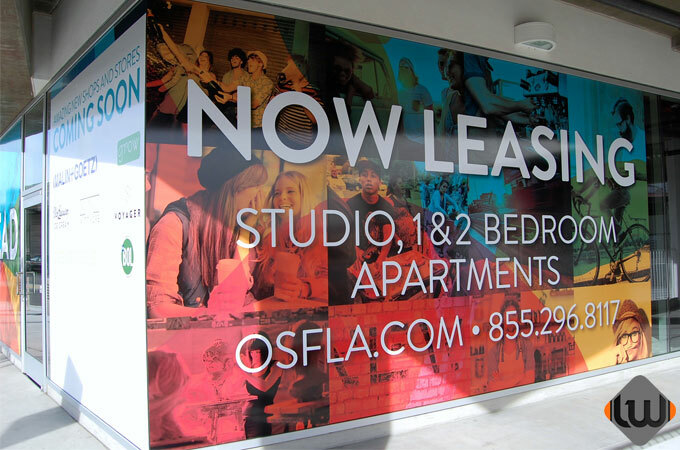 Our window wraps are perfect for all industries, including retail, food and beverage, restaurant, and commercial. Need inspirations? Visit our Gallery page. Want to create your own window graphics?